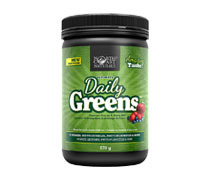 Ultimate Daily Greens is a supreme blend of 48 specially assembled "green foods". Designed to be used by people of all ages - it tastes so amazing that the whole family will enjoy it! 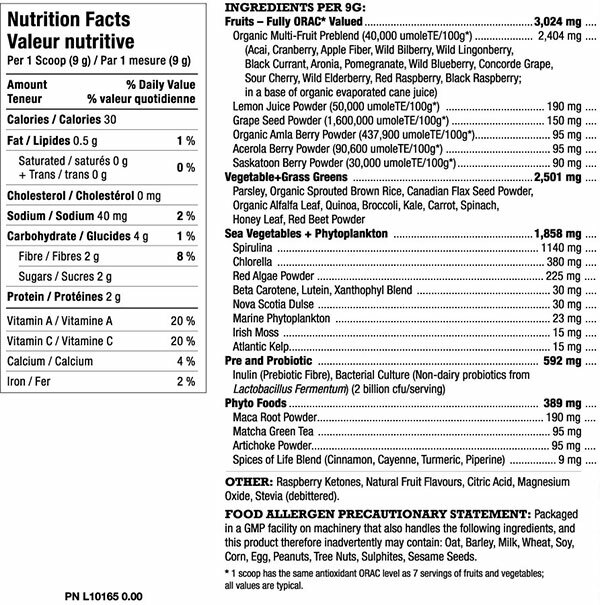 Helps improve measurable antioxidant levels in the blood. Aids in oxygen rich, red blood cell formation. Helps even the hardest working people recover from oxidative stress better. Helps world class athletes recuperate from the hardest training. Significantly decreases the adverse effects of cancer causing free radicals. Helps improve energy metabolism and healthy tissue formation. Helps re-mineralize bones and may reduce risk of osteoporosis. Is a higher alkaline (higher pH) Greens that helps neutralize acid better (higher acidic bodies are more prone to disease and have greater difficulty recovering from disease & stress including physical stress from exercise).